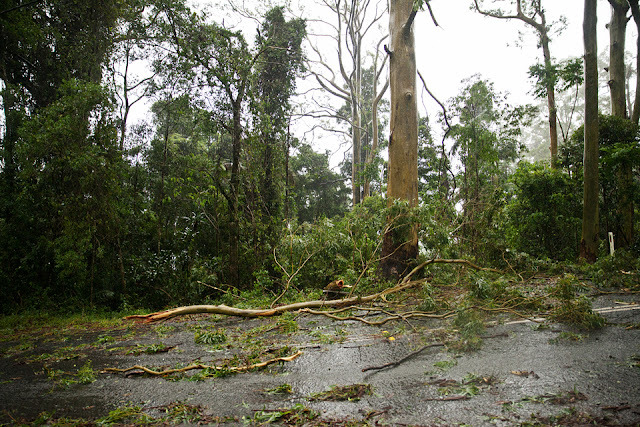 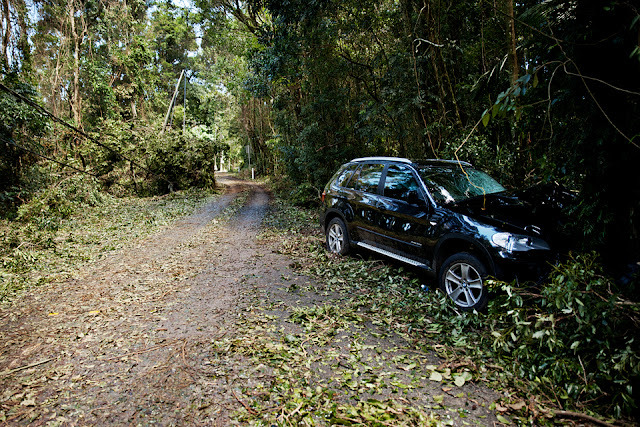 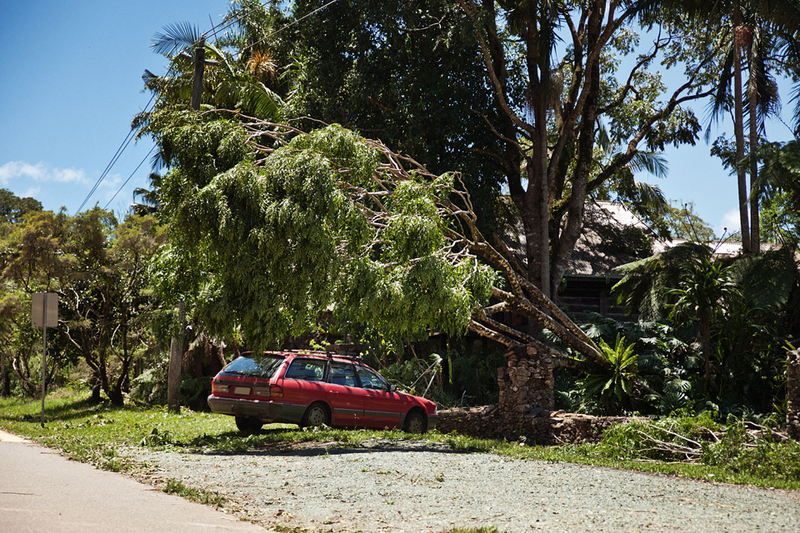 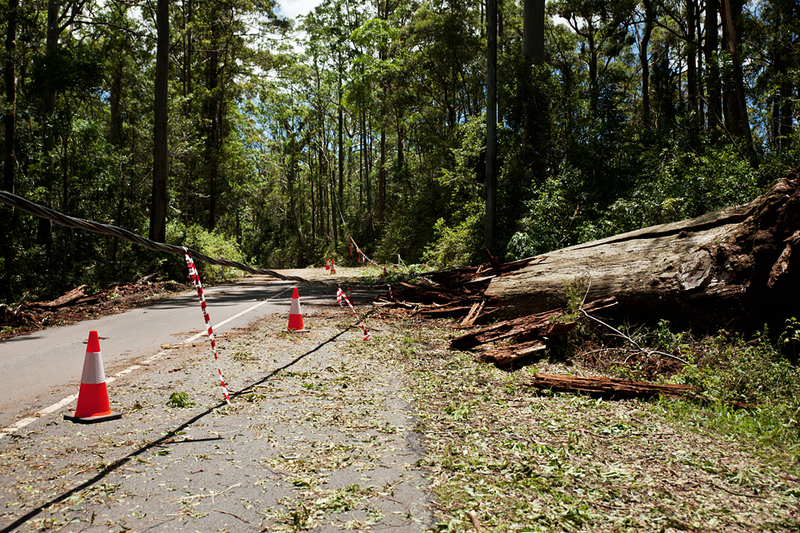 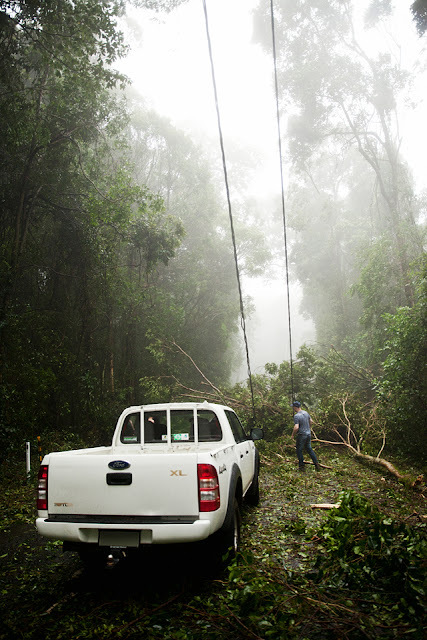 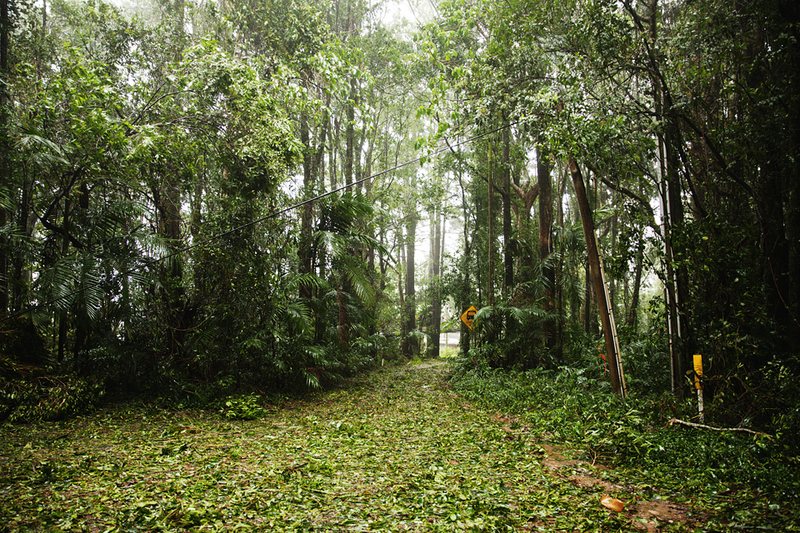 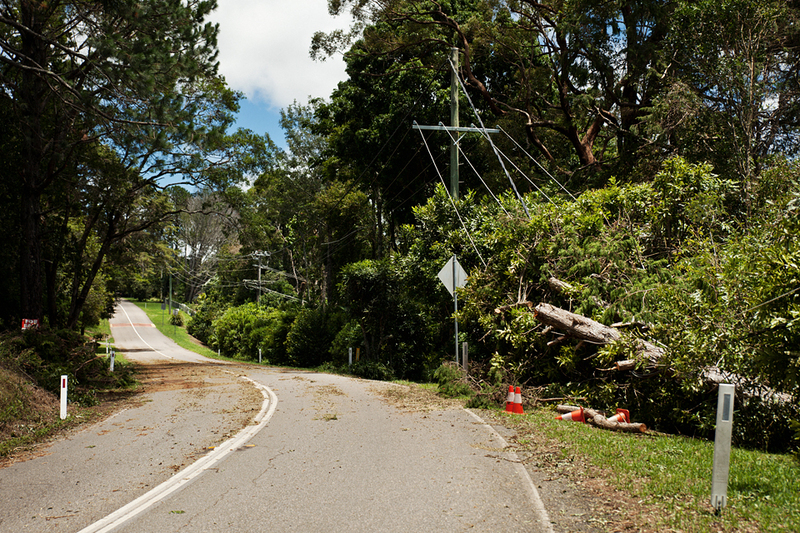 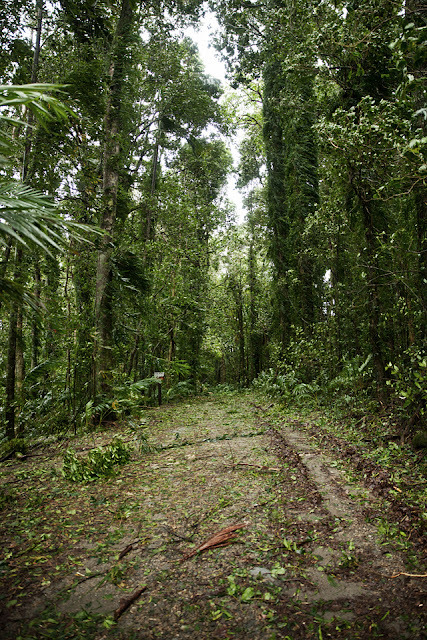 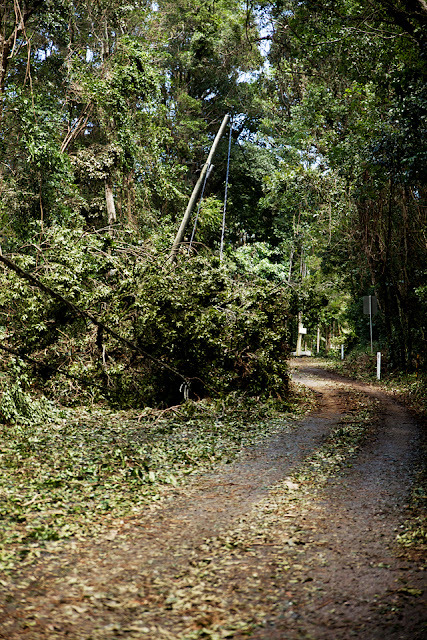 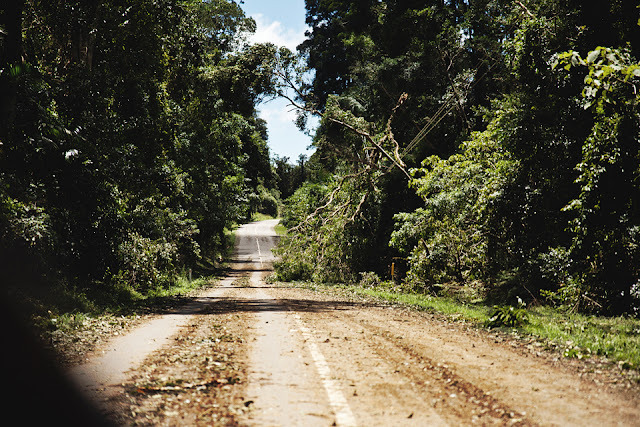 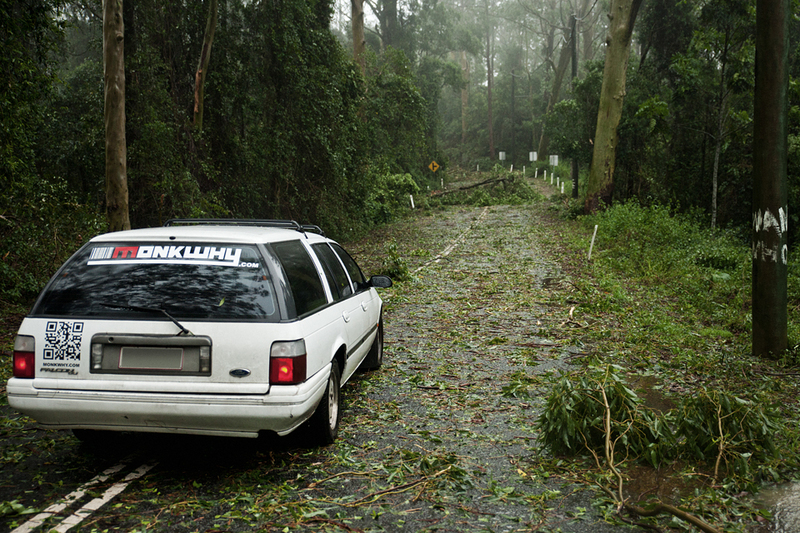 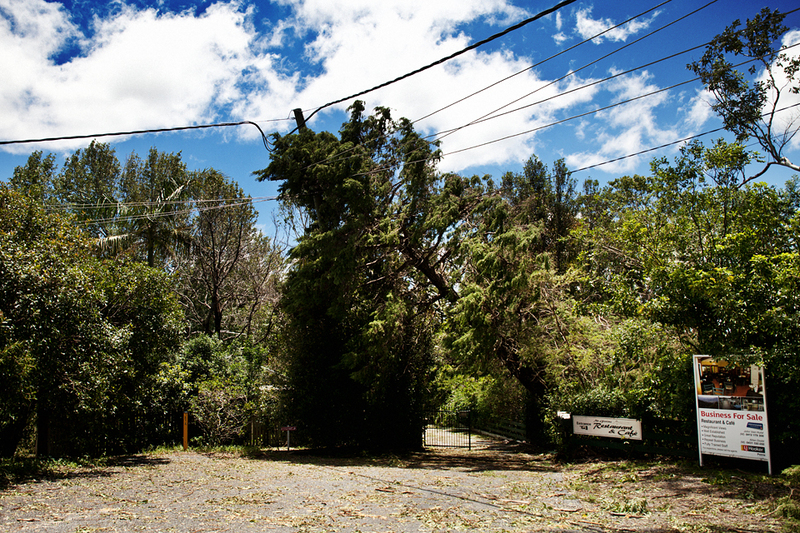 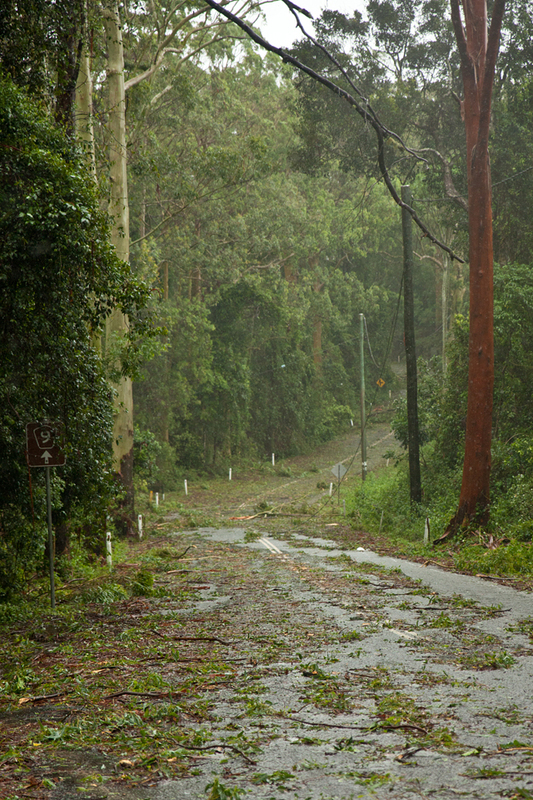 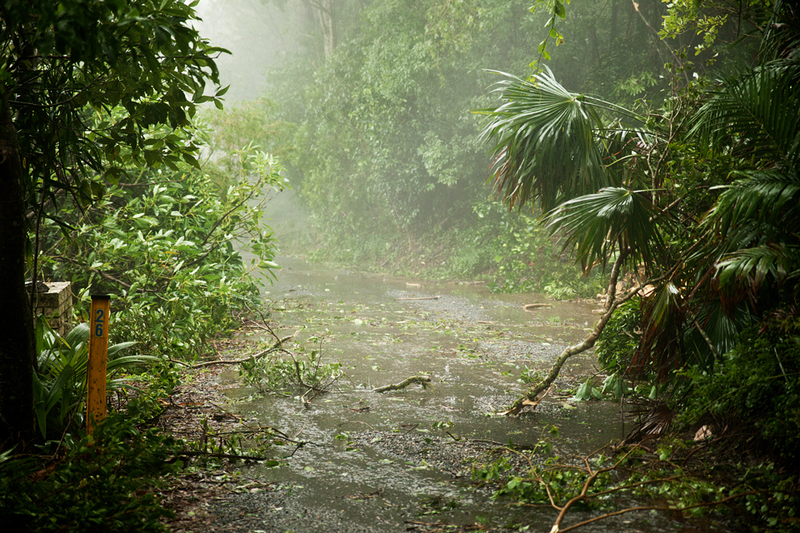 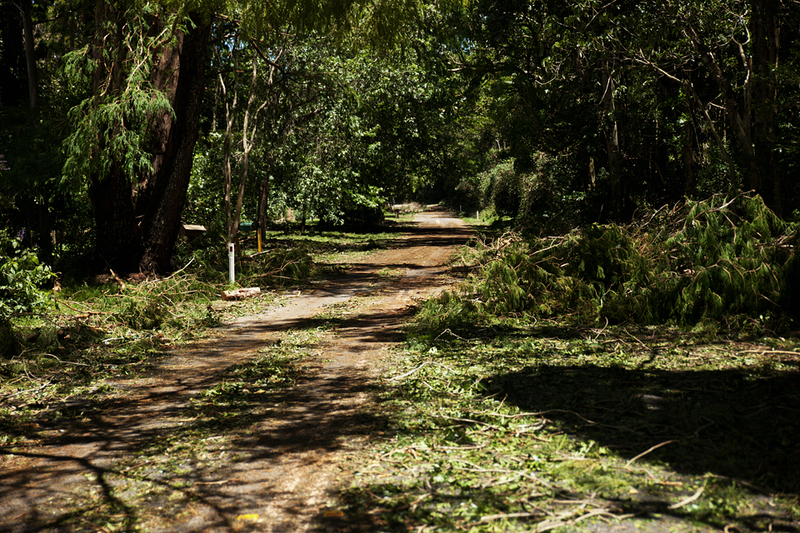 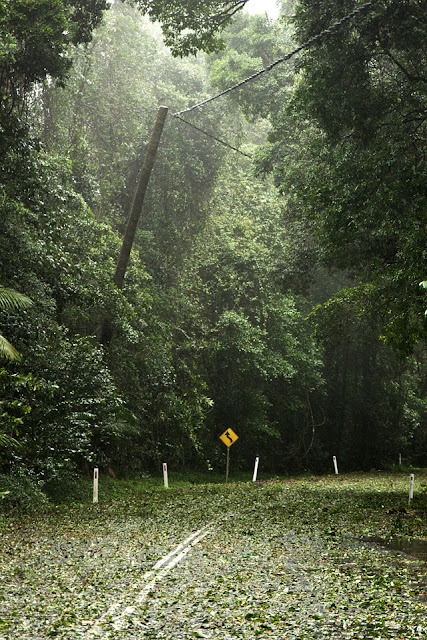 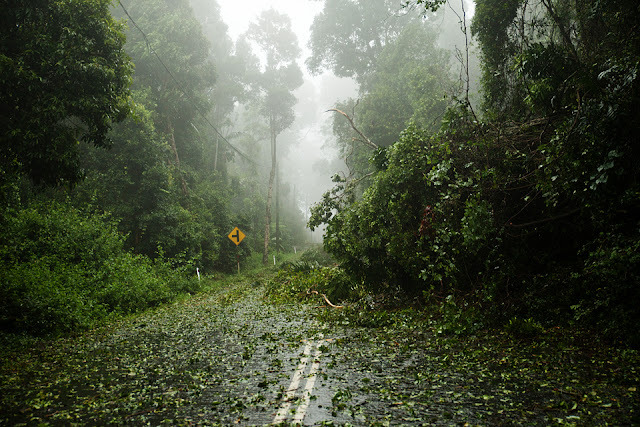 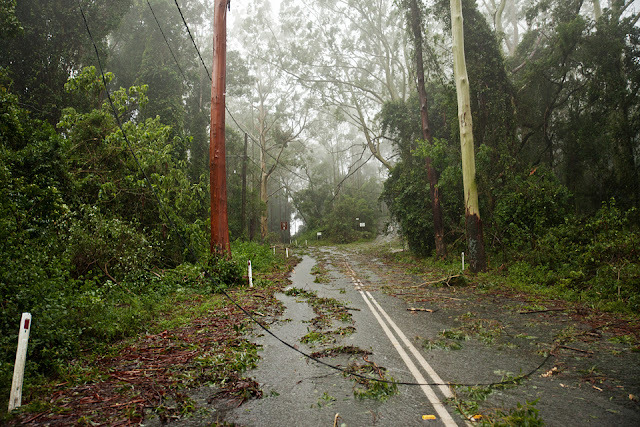 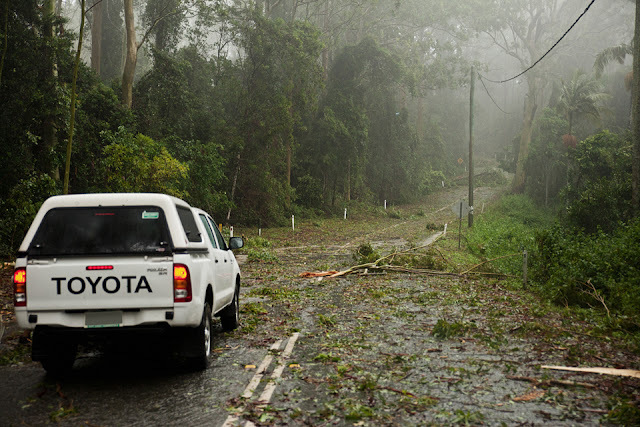 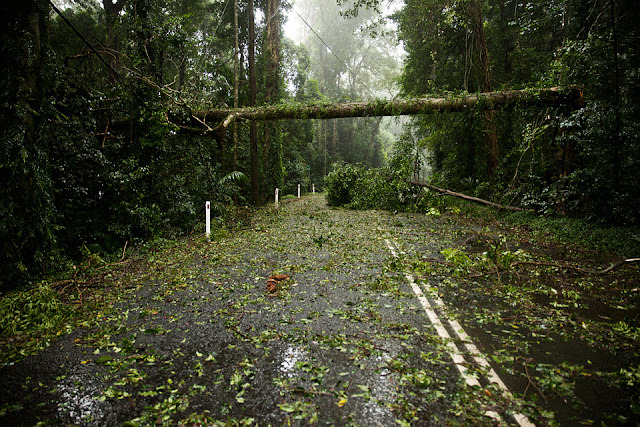 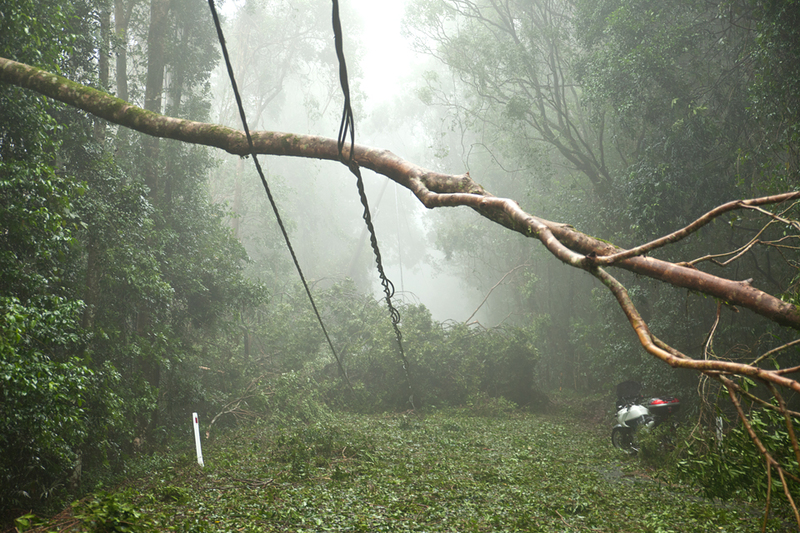 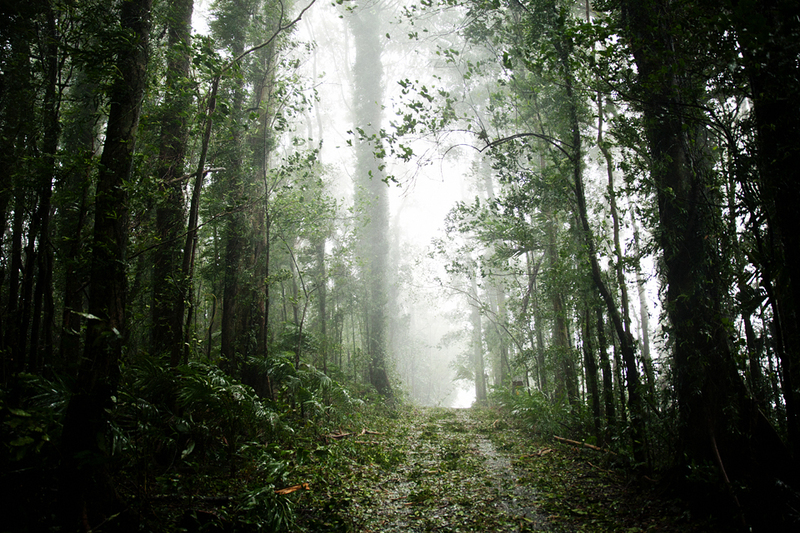 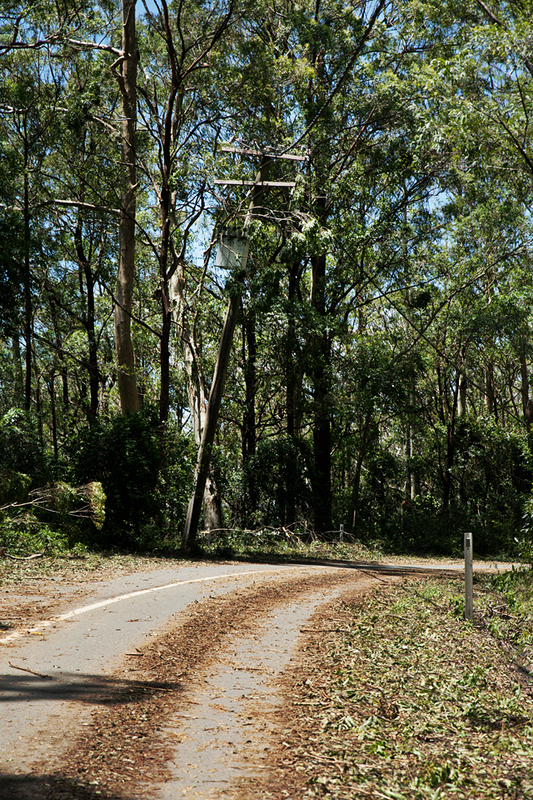 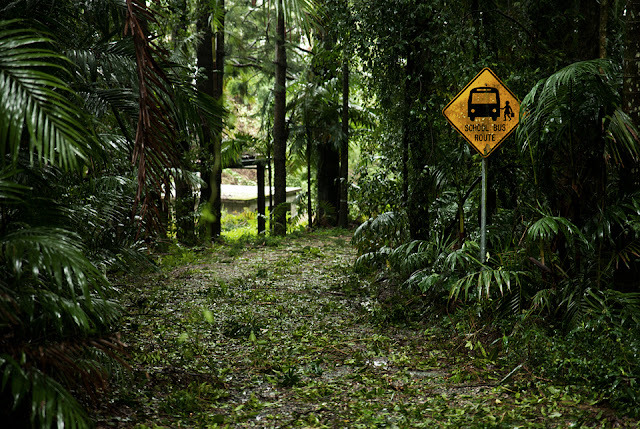 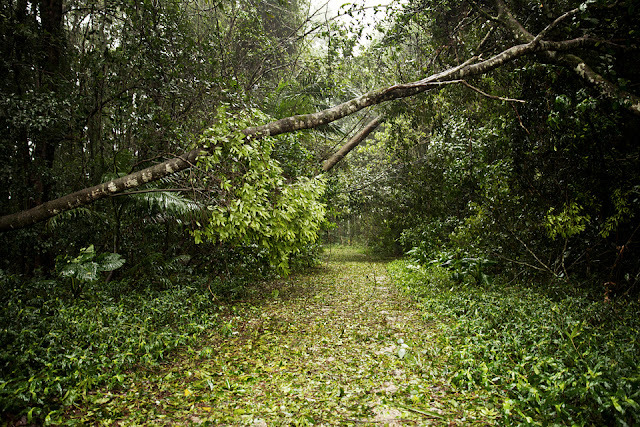 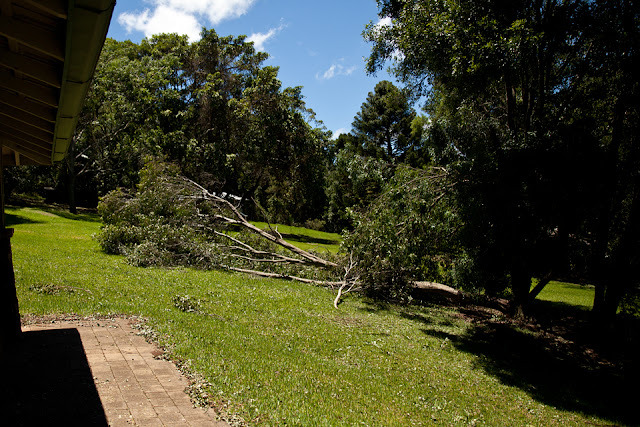 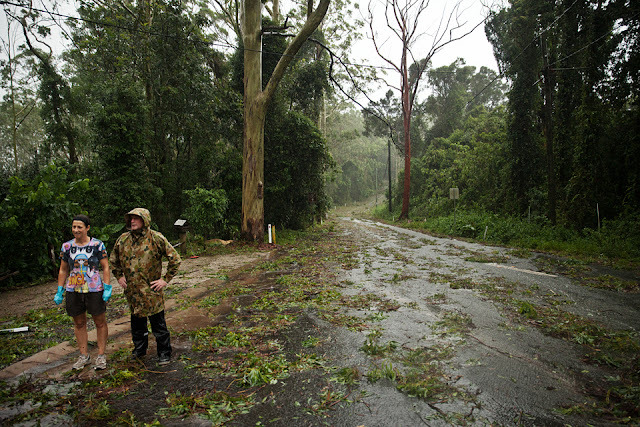 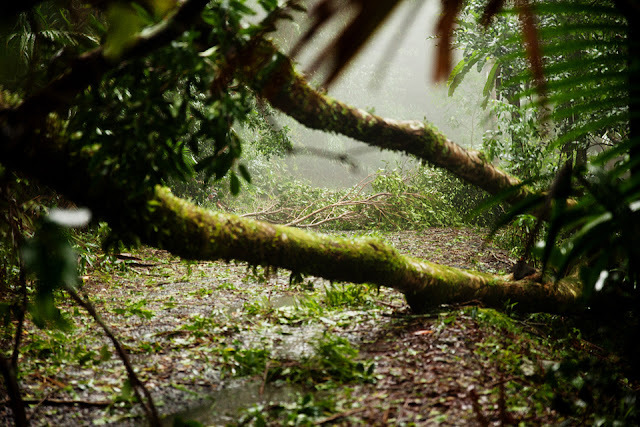 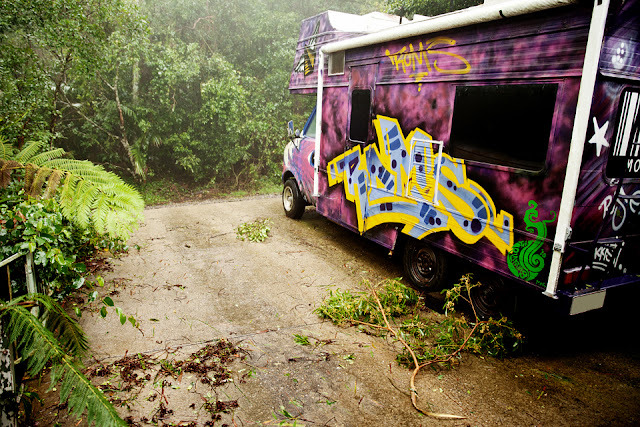 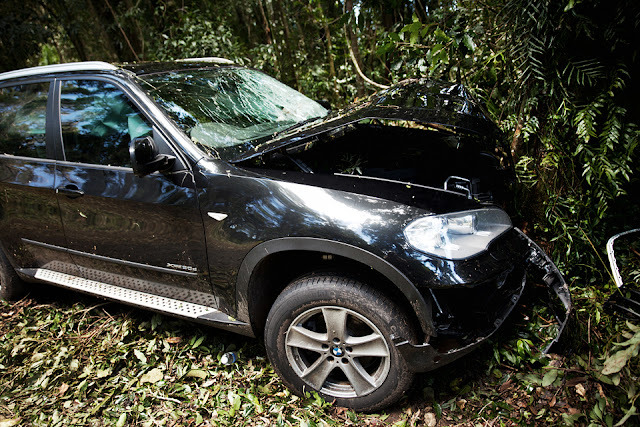 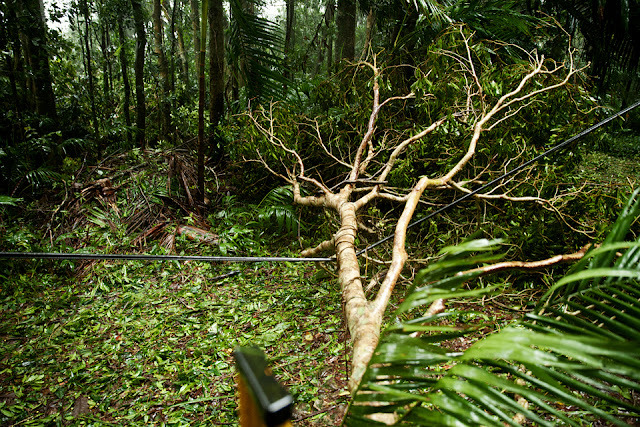 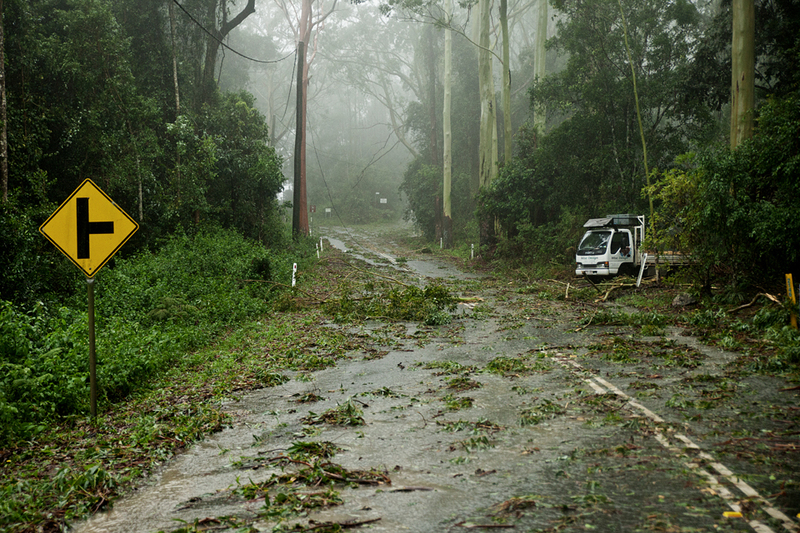 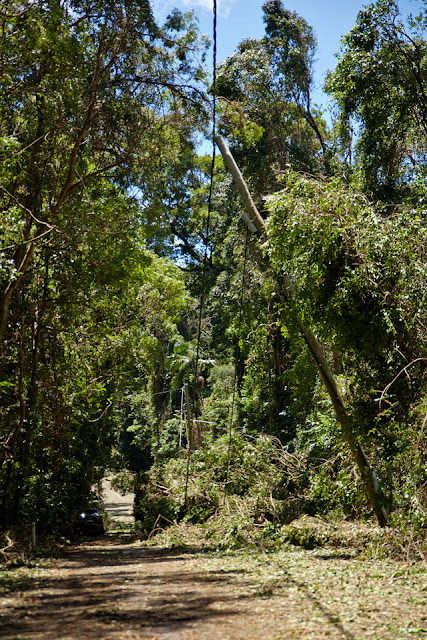 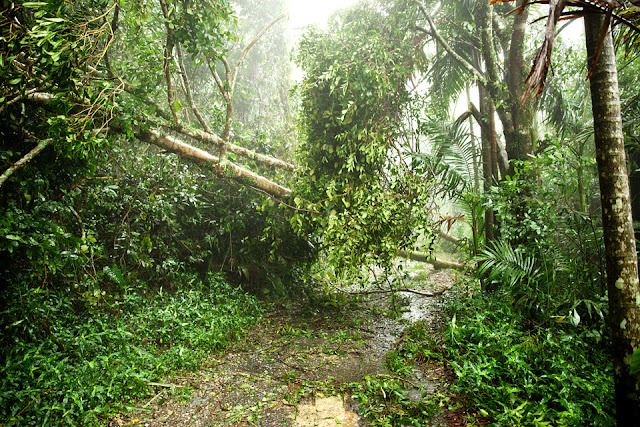 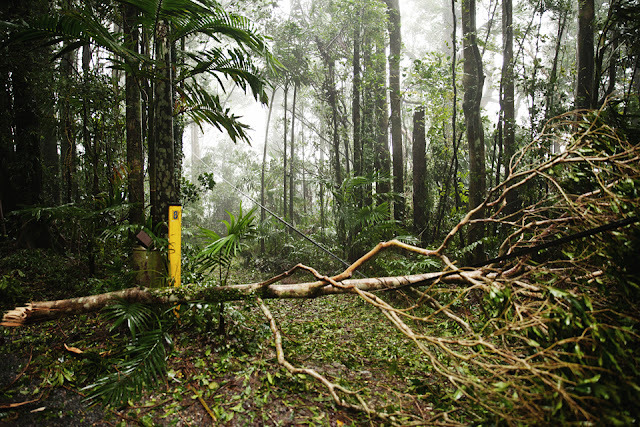 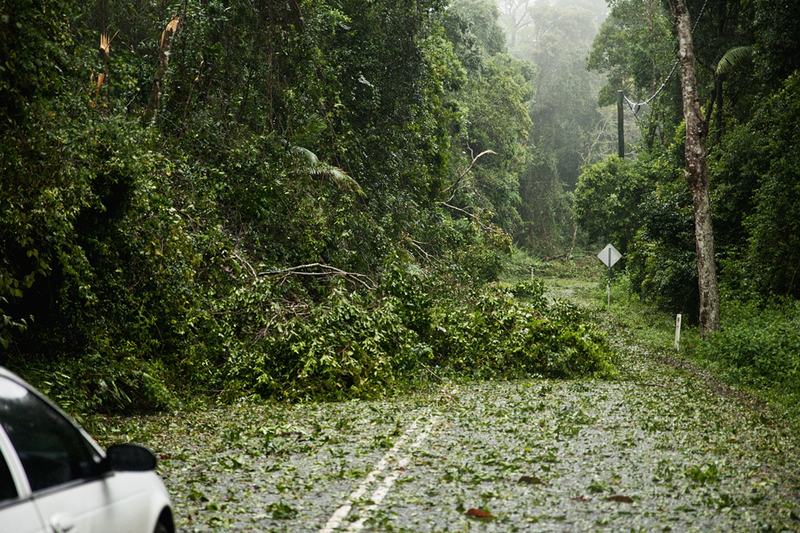 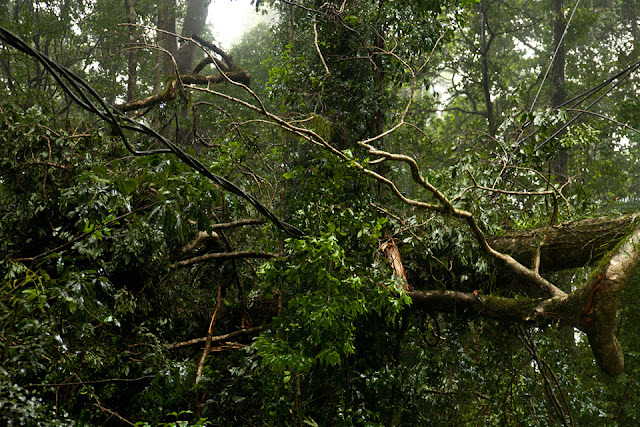 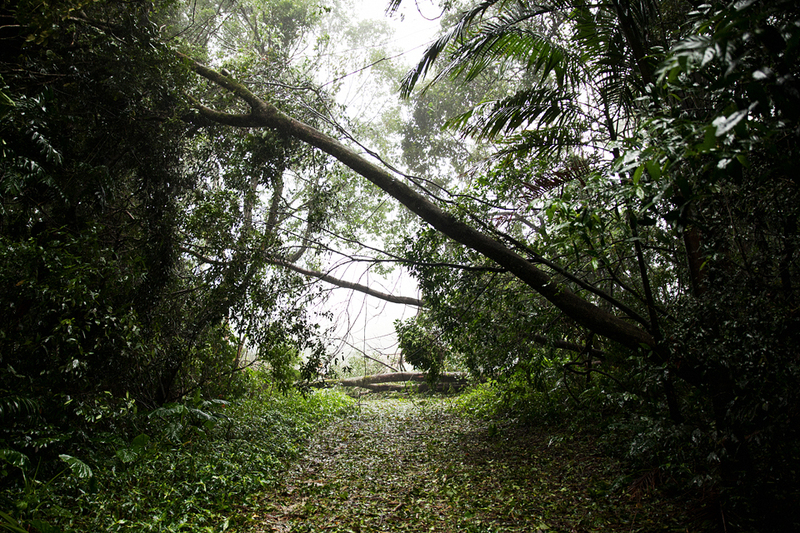 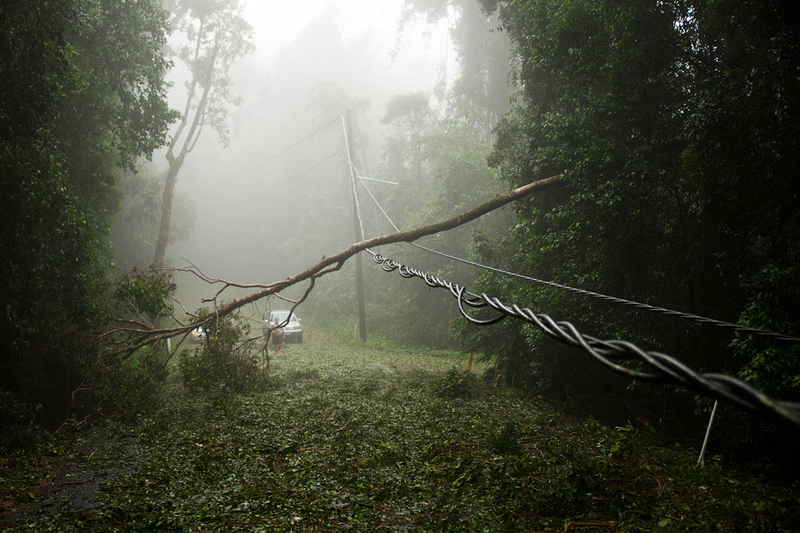 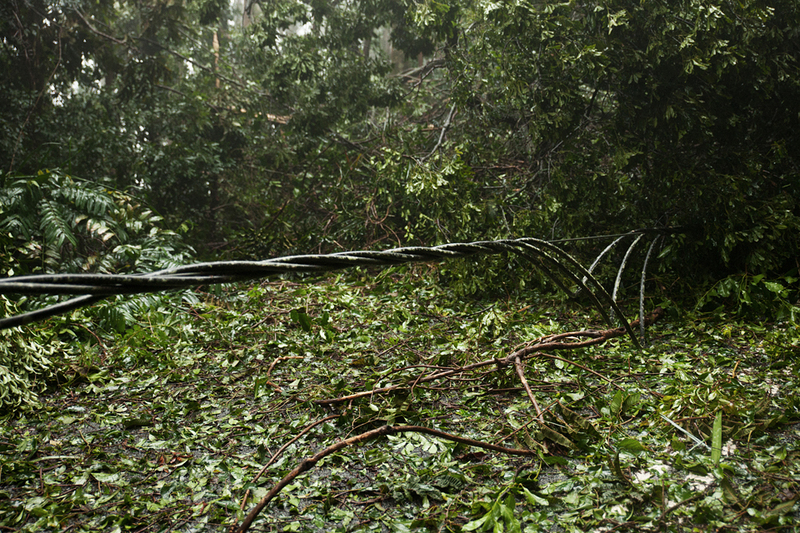 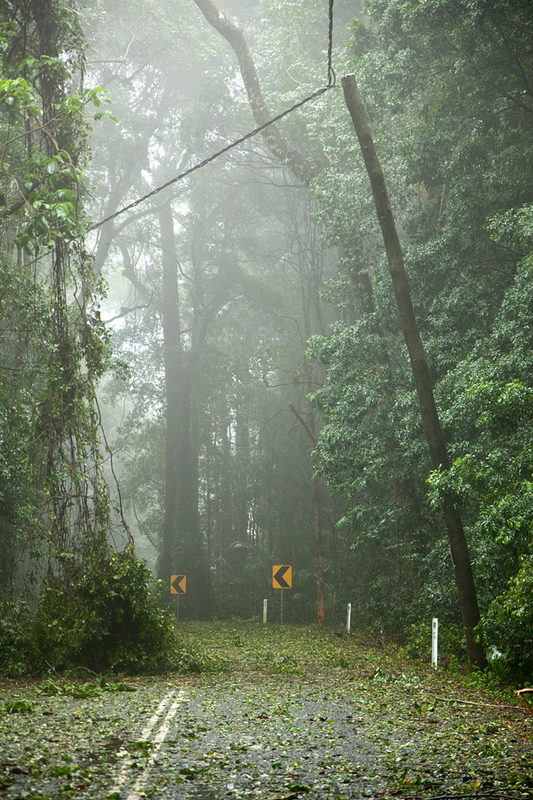 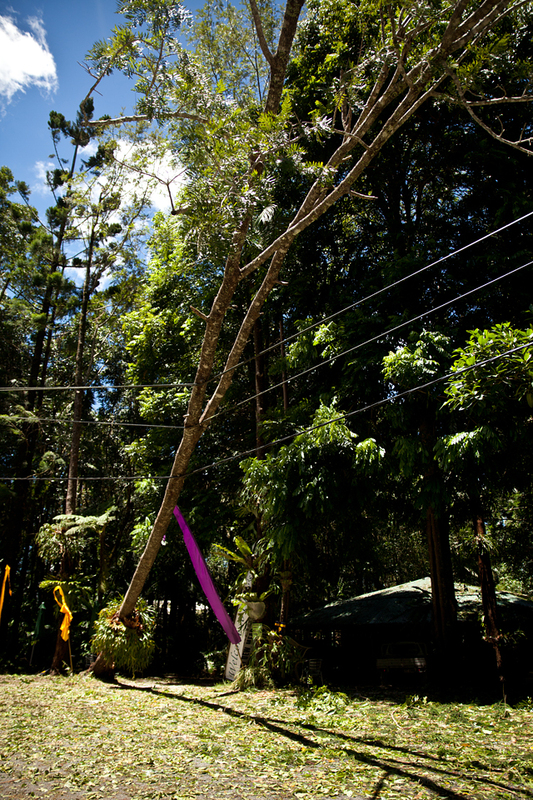 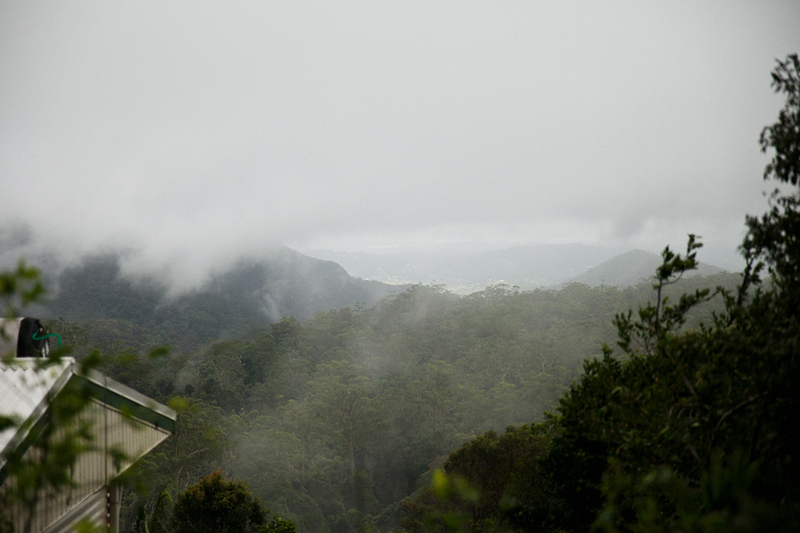 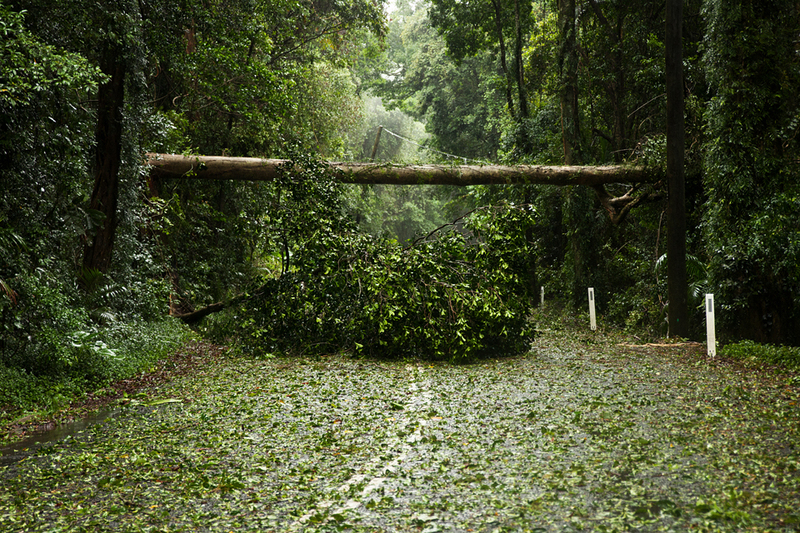 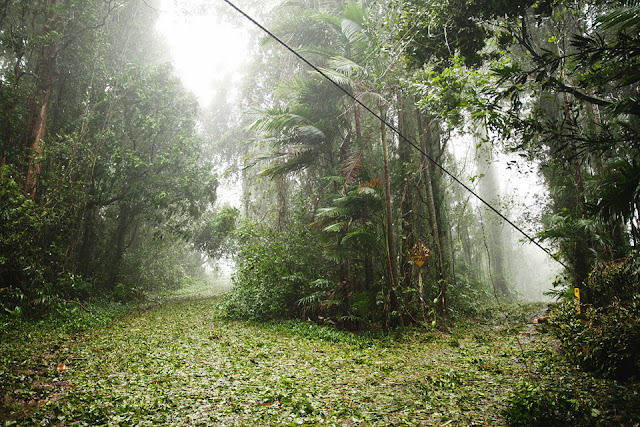 Ex-Cyclone Oswald ripped through Mount Glorious (North west of Brisbane QLD Australia) end of Jan 2013. 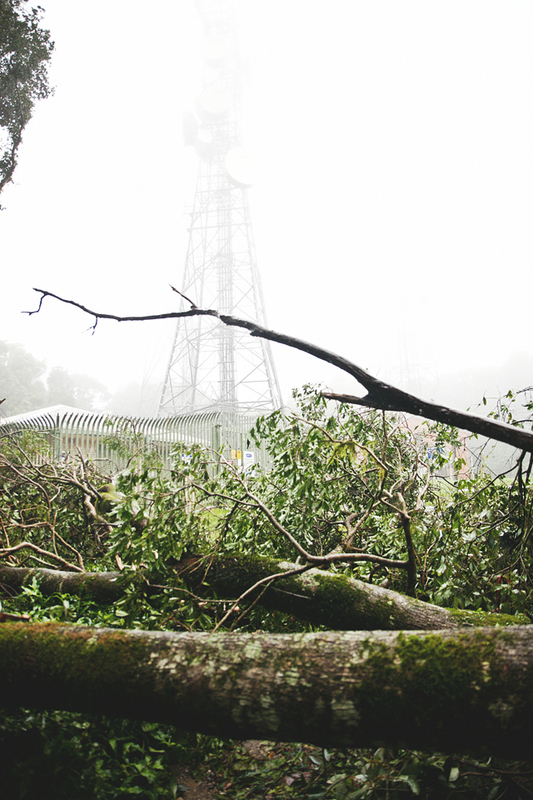 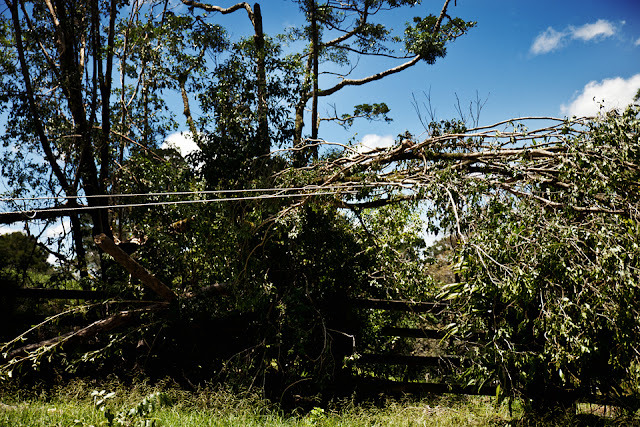 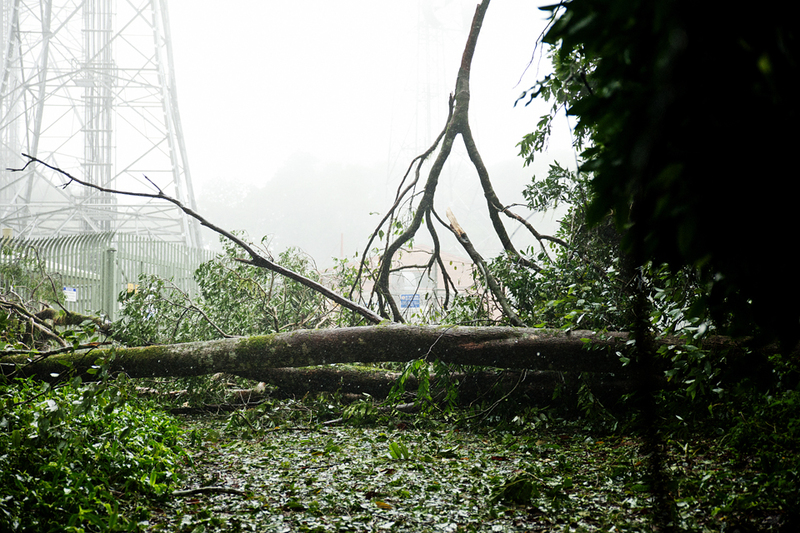 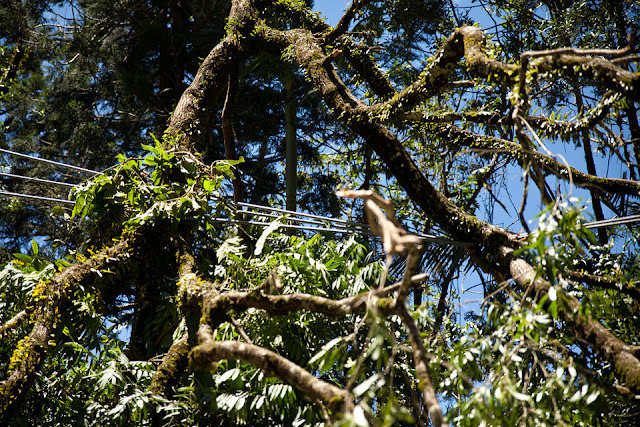 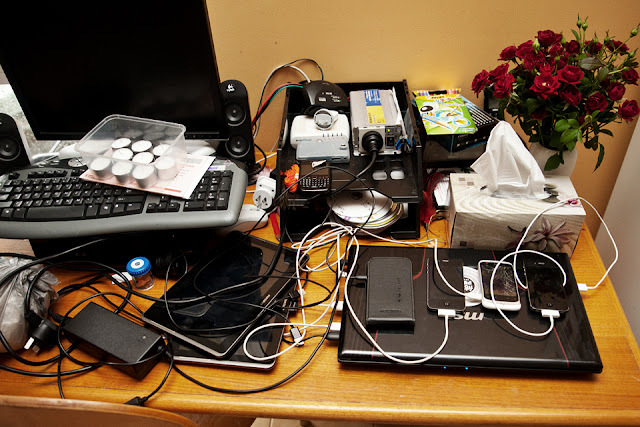 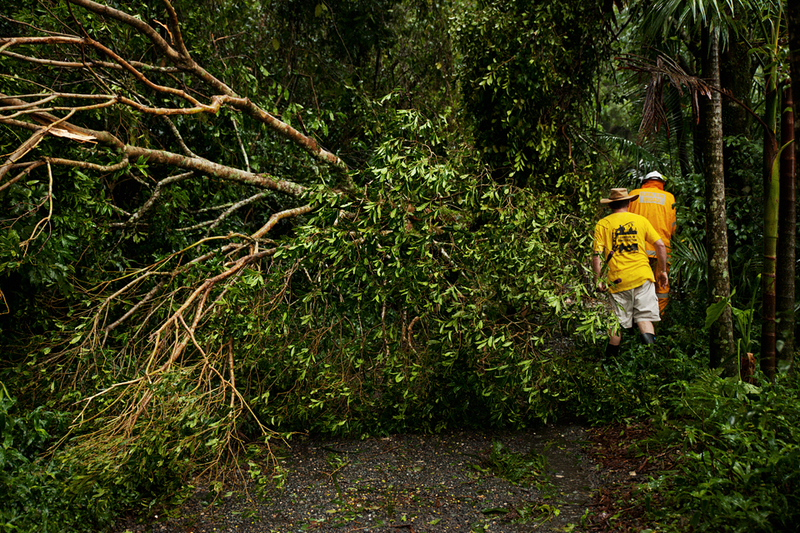 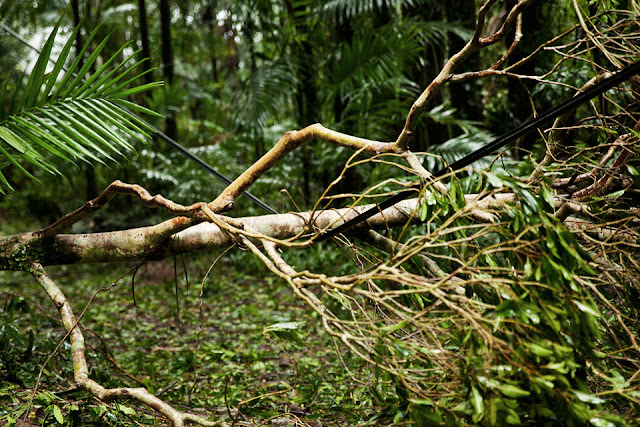 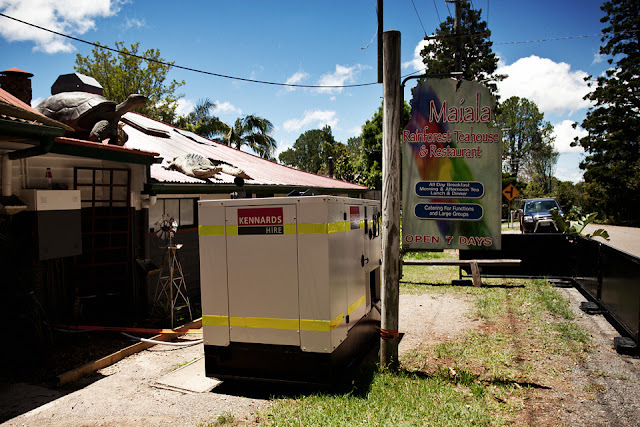 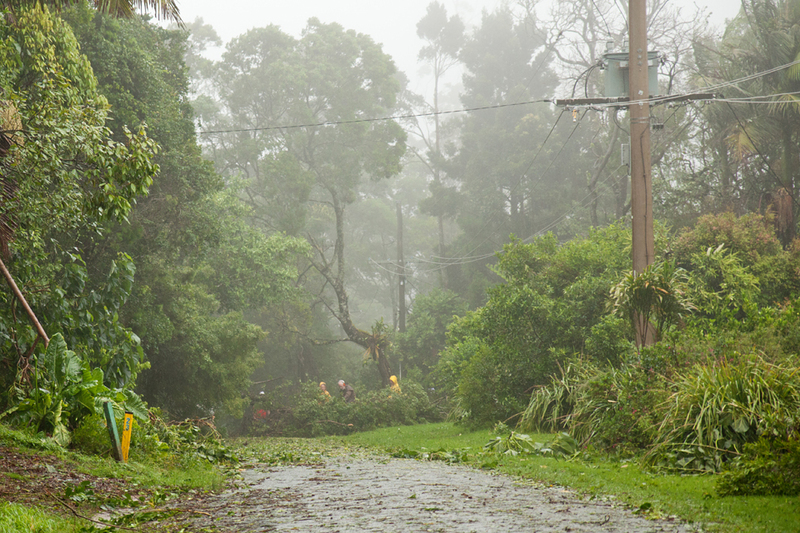 We were trapped for 3 or 4 days without power or communication. 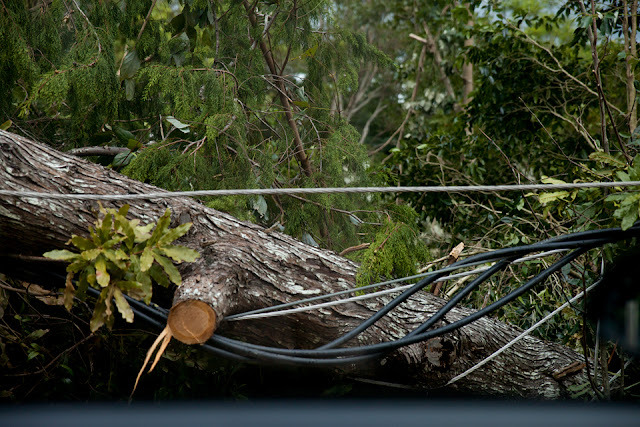 Power is said to be back up within 2 weeks. 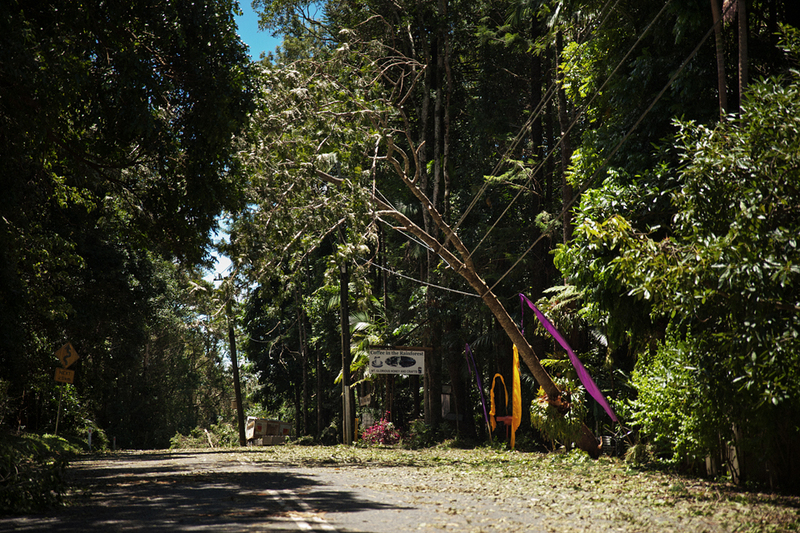 Although Brisbane was pretty much back to normal the next day, Its a week on since this happened and still the road is closed , only locals and emergency workers allowed through. 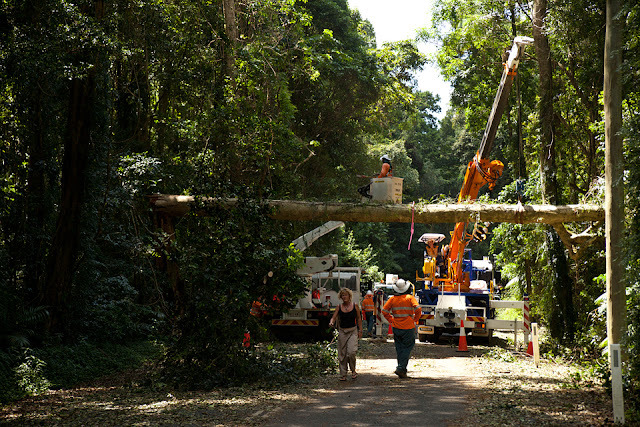 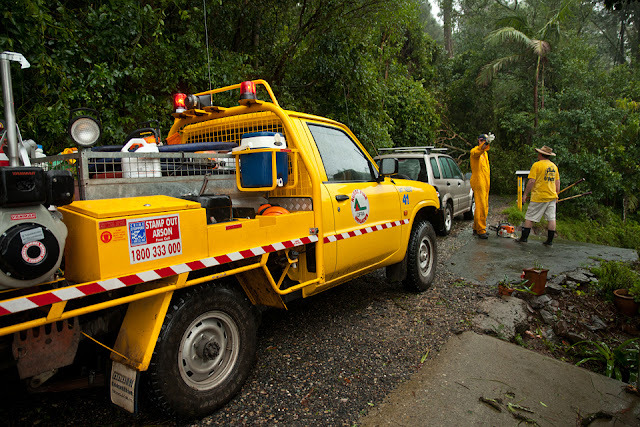 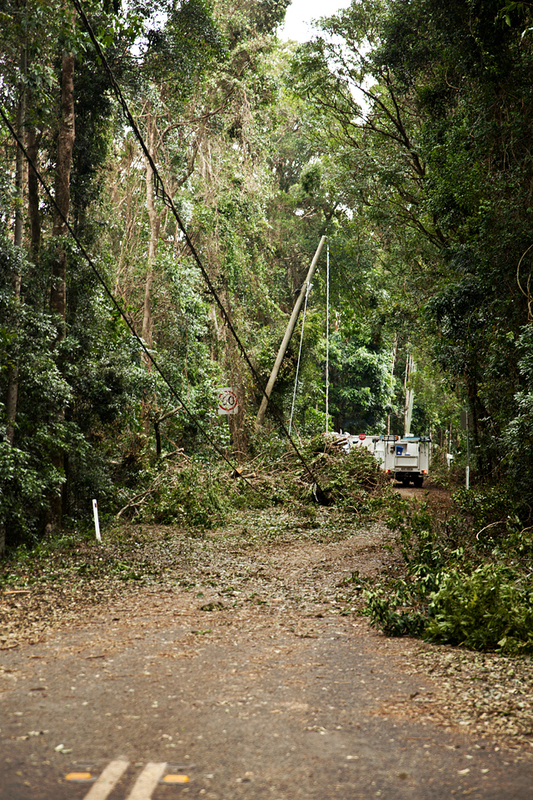 Trees and powerlines are being cleaned up at a rapid rate as hundreds or council, emergency and energy workers attend the site. These photos were taken between Monday 28th and Wed 30th Jan as the wind subsided. 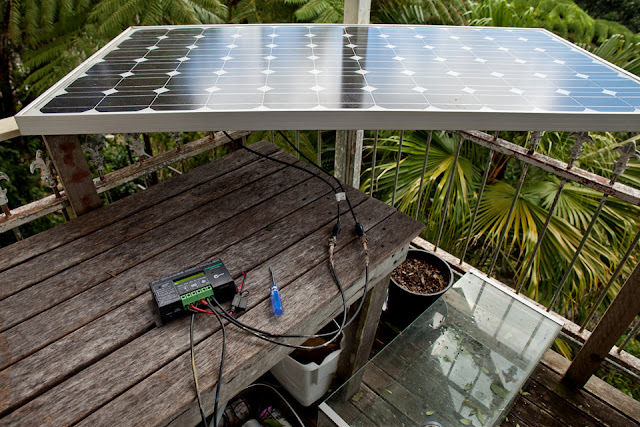 Charging all the neighbours phones with our solar panels. 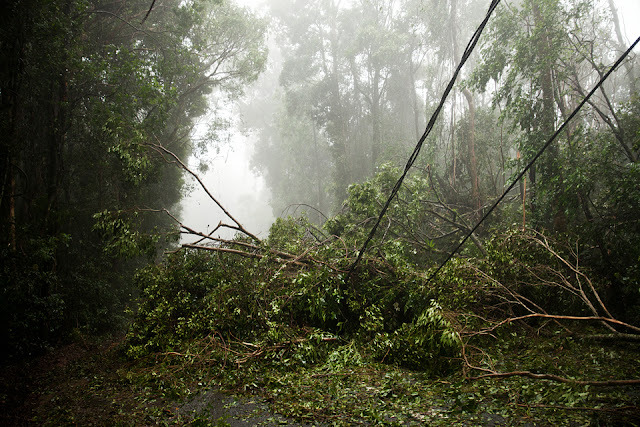 Me and the Neighbours attempt to get out the first time, but were cut off with trees and powerlines. Other residents trying to get through. Local cafe opened to supply locals with cheap food as a lot of us had no way of cooking. 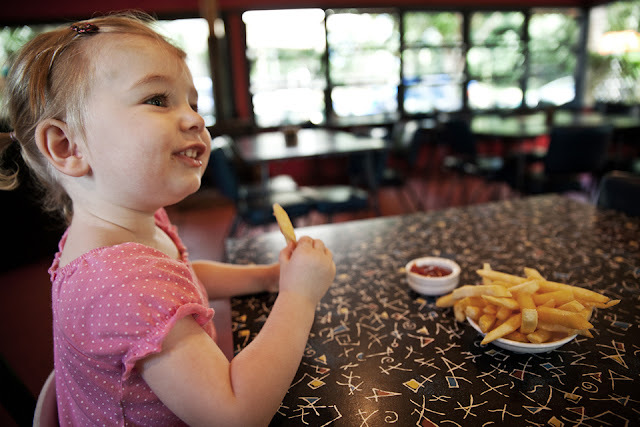 My daughters first fun meal in a week. 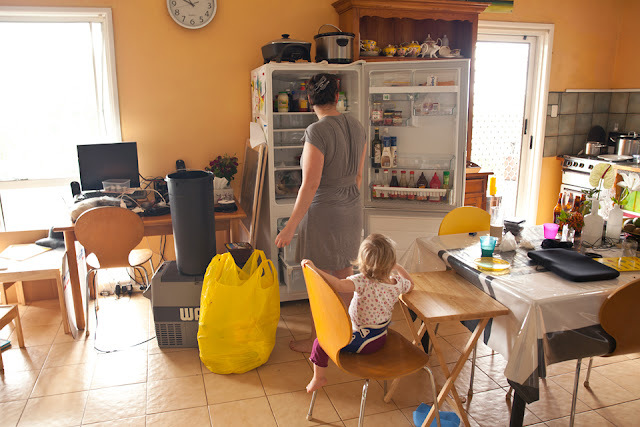 Emptying the fridge of all the rotting food.